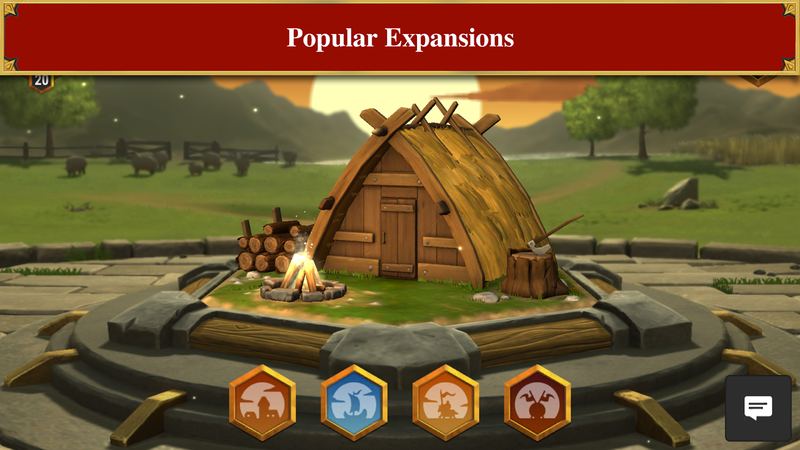 Catan Universe is United Soft Media's newest version of Catan and not only is it finally a multiplayer focused release on Android, but it can also be played against your friends and family no matter the platform they want to play on. 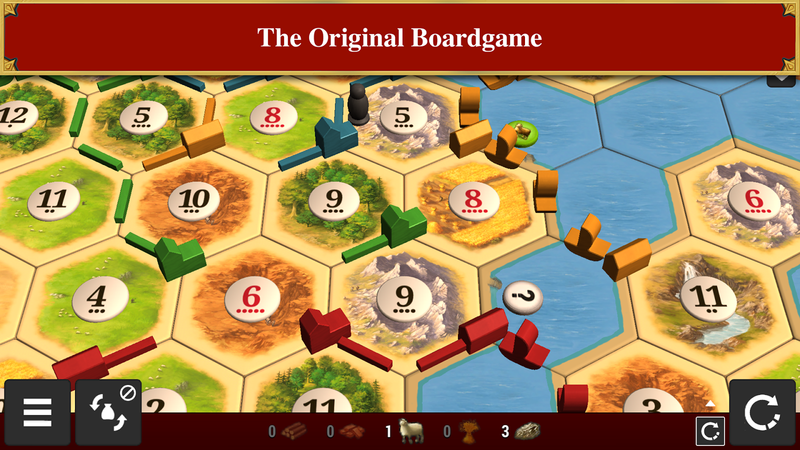 That's right, whether you have purchased the game on PC, macOS, iOS, or Android you can enjoy an online multiplayer round of Catan. Despite the slight shift in the name ("Catan Universe" instead of simply "Catan"), you can expect all of the original board game rules in this release. So if there was any worry that this was a reimagining of the game thanks to the new name, it should be made clear it plays as you remember, which is a great thing. 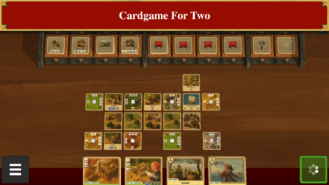 What is interesting with this release is that you will find two of the game's most popular expansions (Seafarers and Cities & Knights) as well as the inclusion of The Rivals for Catan card game as extra content that is purchasable through a few different in-app purchases. Considering the initial release already has two expansions included, assuming the rest will come in the future is probably a safe bet. Now, even though Catan Universe is available for free, you will have to purchase the base game before you can dive into any of the multiplayer aspects. The only gameplay available to you once you install the title is a free match and a tutorial. If you want to play more than that, the base game will set you back 500 gold coins. The thing is, coin packs are not sold in 500 increments. Luckily you do receive 100 free coins with your initial download, so you will only need to purchase the 400 coin pack that is priced at $3.99. 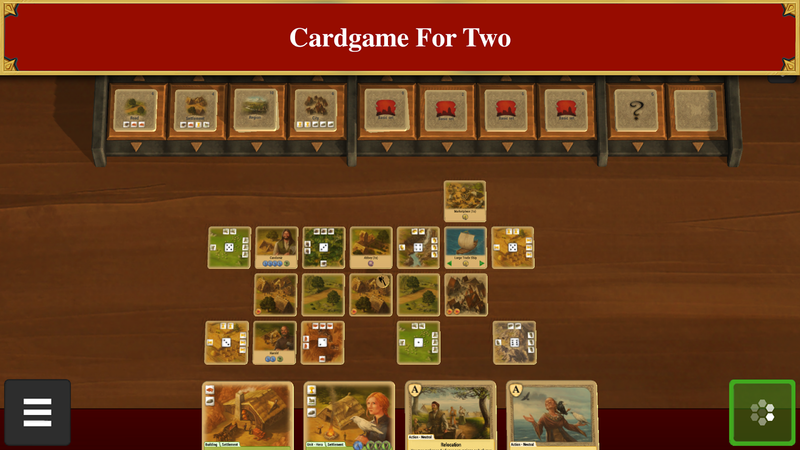 You can also purchase the base game and its two expansions for 1300 coins. Sadly a 1300 coin pack isn't available, so you will have to either purchase the 1700 coin pack for $14.99, or lesser packages in various quantities that will only add up to even more money spent. To me, this whole setup of how you can purchase the game and its expansions is rather crooked, as you are constantly forced to either buy multiple coin packs or simply procure a pack that contains more coins than you want in order to get the "best deal." And I mean sure this is the norm in the mobile gaming world, but that still doesn't mean it isn't a smarmy maneuver by USM all the same. It's also clear that there are XP boosters available in the store along with Scrolls that have the planned potential to unlock future game content. This does not sound like a great addition to a multiplayer-focused title. While a player's experience level may not mean much in the grand scheme, being able to purchase outright cheats to earn more XP than other players who have also paid for this game is yet another lame move by the developer that does not instill a lot of confidence in their future plans. 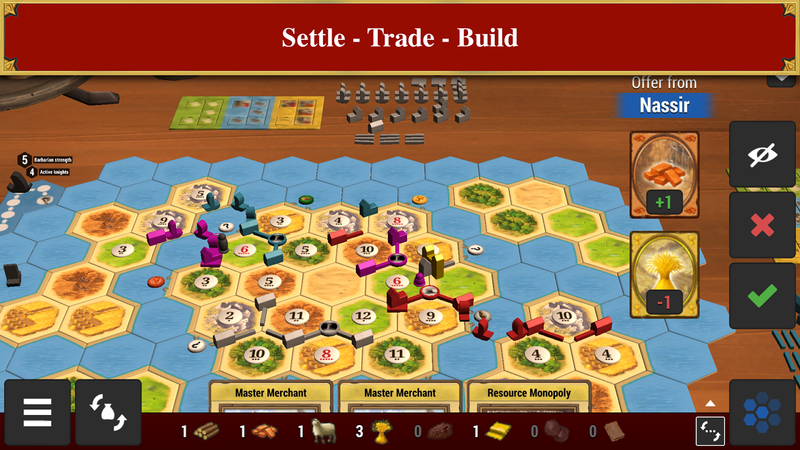 While it is great to finally see an Android version of Catan that can be played online and cross-platform, the convoluted purchasing path and experience boosters make me wonder what else the developer has planned. I mean sure, the classic board game mechanics are chiefly what you would expect, and the presentation is top notch, so if you only plan on playing with friends and family the XP boosts shouldn't be much of an issue. 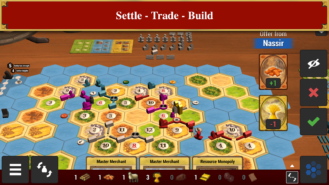 But I say buyer beware, as things could easily go south for Catan Universe, just as we have seen of so many other Android games in the past. If the developers feel comfortable monetizing in such sneaky ways, what else could be down the pike?